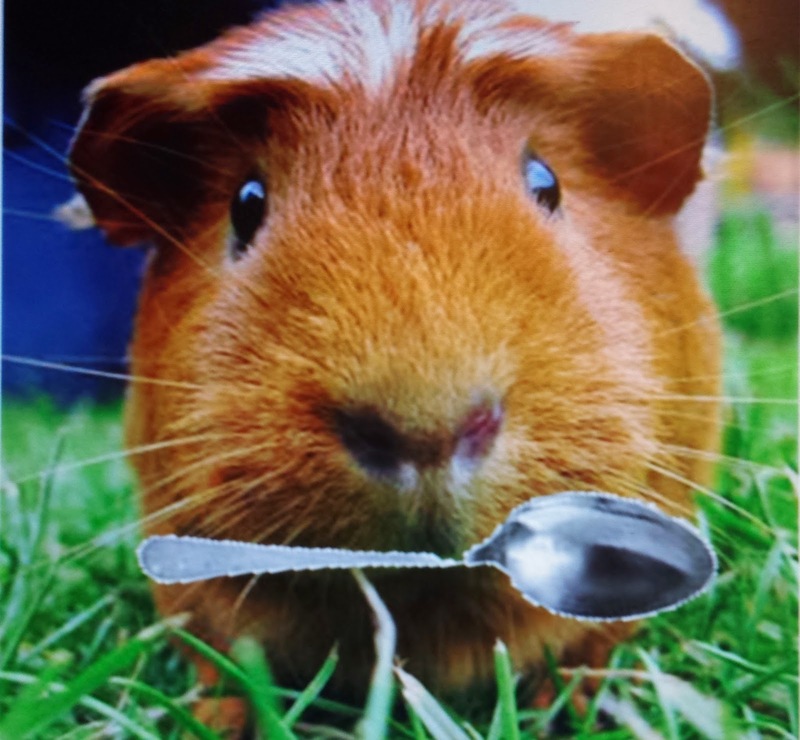 Have you ever seen a guinea pig with a silver spoon in its mouth? Have you ever wondered why educational reform is supposedly good for most people's children, but not for most of the children of the "reformers"? Perhaps you've been afraid to ask yourself this question. Well, I found myself wondering about it the other day. So, here are my top ten guesses why educational reformers might think their brainy ideas don't merit experimentation upon their own children, only upon other people's children. 10. Let's start with Rhee who claims she is a "public-school parent"--which according to her definition means one child attends a public school while the other attends a private institution, free from all this reform stuff. One child must be the statistical control. 9. Perhaps students in private schools have biological immunity from the Common Core based upon their superior brain power--whilst the rest of the population is highly susceptible to the contagion. 8. If Common Core really works as posited, one might expect an overwhelming surge in demand from the private schools. They would succumb to the irresistible force of attraction to the Core, surely stronger than gravity itself. Perhaps private schools are holding out for the same type of spectacular grants that attracted the states. Maybe they hope large "bribes" will be placed at their doorsteps? 7. Perhaps by withholding the smack Common-Core standards from private schools, corporate-minded reformers seek to drive these schools out of business. Parents will no longer pay steep private fees when they realize their children are not being molded into expert test takers. The schools will fail and Common-Core reformers can then take them over, thereby earn fantastic profits as well as free tuition for their own children. 6. Perhaps educational reformers see a conflict of interest in sending their children to schools that practice what they preach/teach. Maybe they think it is akin to placing a child in a class taught by a parent. So, they have nobly decided to sacrifice the greater good of their children by withholding from them the unquestionable benefits of the Common Core. 5. Maybe there is something in the title "Common Core" that is adverse to their lifestyle. Maybe if the private-school version was "re-branded" the "Uncommon Core" maybe, just maybe, it might be good enough for them. Then, they would have no need to rub elbows with the Commoners or, indeed, any Common stuff at all. 4. Perhaps following their Common-Core free private-school day, the reformers' children study all night at South-Korean style test prep centers. They may even have private tutors who secretly prep them, Common-Core-style, from behind the security of the fortified gates of their feudal-like estates. 3. Maybe reformers don't actually think the Core is good for us, but barring any better idea they have thrust it upon us as part of their personal responsibilities as the noblesse oblige. 2. Maybe they want to keep us bound to their standardized tests like a medieval serf to the soil. Maybe they realize that we will never be the lords of the manor, so Common Core will suffice. We are all equally guaranteed the standardized mush they serve up. It is all we need to survive. 1. Perhaps something in the nature of the composition of the silver (which should be Ag, #47 on the Periodic Table to any Kindergarten child today) spoon stuck in their children's mouths make them impervious to educational reform. Or, could it be something entirely different?